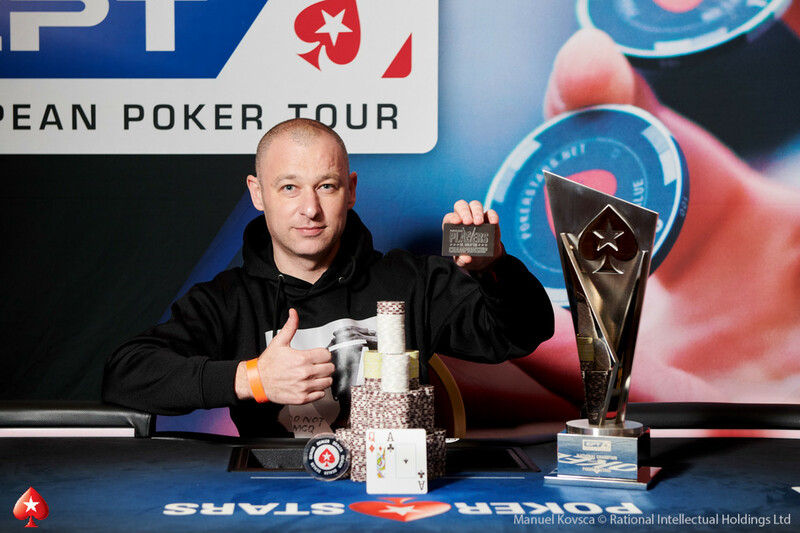 Boris Mondrus dominated the final day's play in the PokerStars European Poker Tour Prague €1,100 EPT National, and after just under four levels of play he emerged triumphant to secure himself a €382,750 payday and a PokerStars Players Championship $30,000 Platinum Pass. Mondrus, who hails from Israel, was responsible for all but one of the eliminations on the final day and had amassed a huge chip lead which ultimately proved too much of a mountain to climb for eventual runner-up and last Czech player standing Ondrej Lon. With his friend acting as translator, Mondrus told PokerNews that he predominantly plays Pot-Limit Omaha. "I've played Texas Hold'em for a long time," said Mondrus. "But more PLO." "This is a big win. I play cash games; I don't play tournaments. I've played maybe eight to ten tournaments in my life." The win is the biggest of Mondrus's career and his first recorded cash since the 2016 WSOP Main Event. In addition to the prize money, Mondrus also bags himself a coveted PSPC Platinum Pass. "I didn't know about the Platinum Pass until the floor told us today! It didn't change how I played. It's a nice surprise." "It changed nothing, but for my wife now it's a problem! It's a lot of money and it's a problem that I'm going to the Bahamas now!" The day got off to the worst possible start for start-of-day chip leader Danilo Velasevic, who handed over chips to Ali Al Saidy when his opponent rivered a flush. 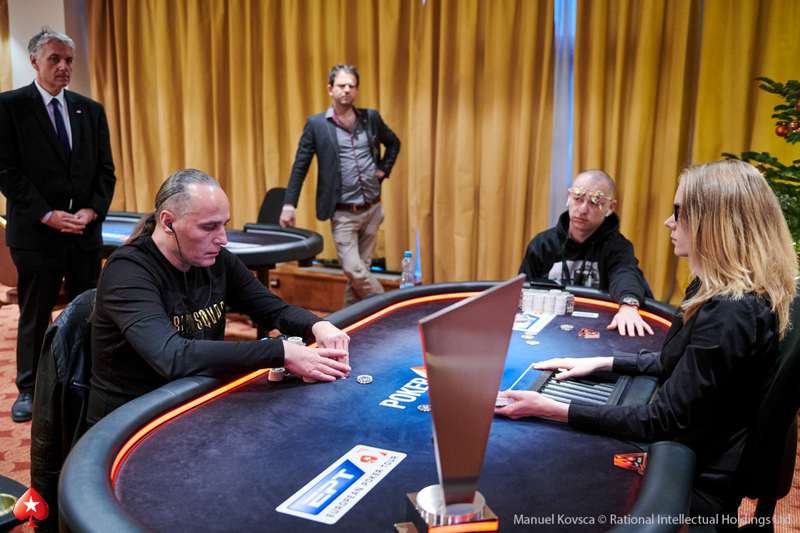 Not long afterwards, Al Saidy moved into the chip lead with the elimination of short stack Ut Tam Vo, who jammed with jack-ten into the Norwegian's kings to become the first elimination of the day. Another big mover early on was Mondrus, who rose from the middle of the pack at the start of the day to usurp Al Saidy at the head of proceedings. Walter Treccarichi had spent most of the day slowly dropping back from the leaders, and after Velasevic doubled through the Italian, it was Mondrus who eliminated him when his queen-ten cracked Treccarichi's ace-jack. Mondrus now held almost half the chips in play by the first break, and he extended his chip lead further when start-of-day chip leader Velasevic fell foul of Mondrus's pocket aces when Velasevic moved all in with sevens. And he didn't stop there. The Israeli player kept on going, slowly whittling down the stacks of his last two players until he held three-quarters of the chips in play. Although Ondrej Lon managed to double through Mondrus whilst three-handed, Mondrus put his foot right back on the gas and eventually sent Al Saidy to the rail when Al Saidy's threes ran into the sixes of Mondrus. Mondrus started heads-up with a greater than 5:1 chip lead over the last Czech player in the field. Mondrus did get it in once, only to lose a flip. 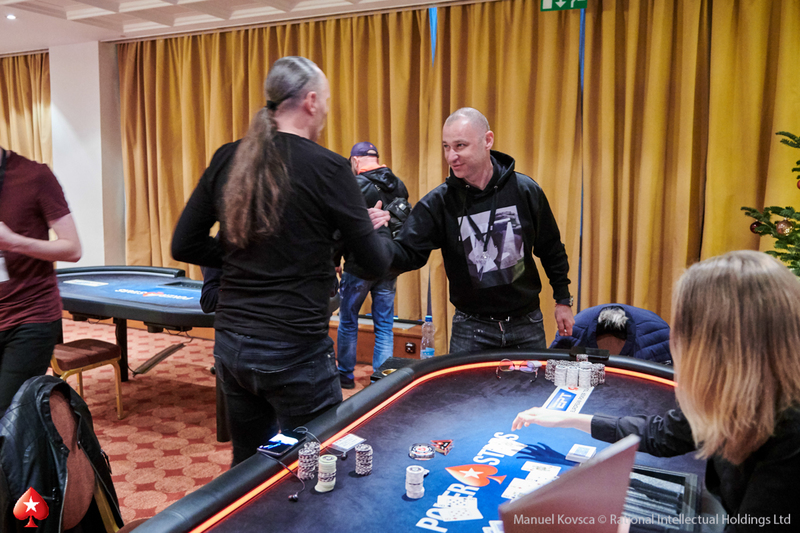 However, once the chips got in again - with Mondrus behind this time - the roles were reversed as Mondrus spiked an ace to crack Lon's pocket pair and seal the victory, €382,750 and a Platinum Pass worth $30,000 shortly before 5 pm local time. Stay tuned to PokerNews.com for more coverage from the PokerStars European Poker Tour here at the Hilton Prague. 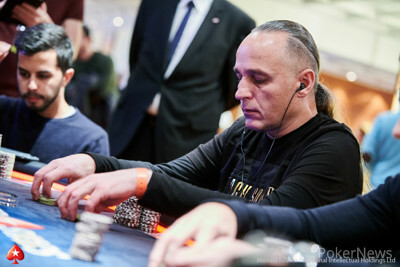 Ondrej Lon opened to 1,300,000 and Boris Mondrus three-bet to 4,000,000. Lon quickly four-bet all in and Mondrus snap-called. There was an ace in the window of an flop. Mondrus had gotten to his feet and high-fived his friend on the rail by the time the came on the turn. 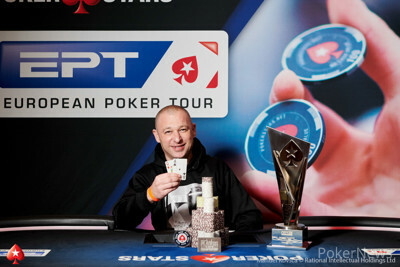 The river sealed victory for Mondrus, sending Lon to the rail in second place for a career-best cash of €204,200. Both players checked a flop and Ondrej Lon bet 900,000 on the turn. Boris Mondrus raised to 2,900,000 and Lon called. The river was the . Lon bet 2,800,000 and Mondrus eventually flicked in a chip to call. Lon showed for a turned straight, but the river had saved Mondrus with his rivering a straight as well to chop the pot. 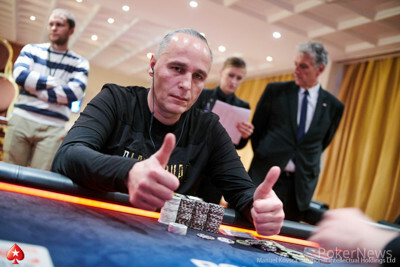 On a board Boris Mondrus checked and Ondrej Lon bet 2,600,000 into a pot of around 4,000,000. Mondrus then check-raised to 7,600,000 and Lon quickly folded. Then in a limped pot Mondrus check-called 1,000,000 on the flop and the pair checked the runout. Lon showed for ace high and Mondrus won the pot with . 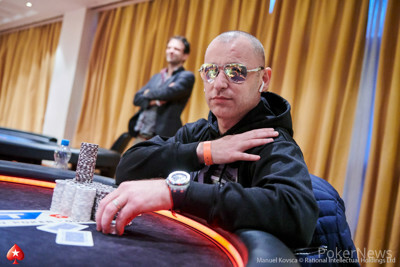 Boris Mondrus moved all in when first to act and Ondrej Lon called all in for his tournament life for 9,700,000. Mondrus was ahead and needed to hold for the tournament win. However, a seven on the flop swung things the way of Lon. The turn was the and the river the and Lon doubled up. Boris Mondrus check-called 1,400,000 from Ondrej Lon on the flop and both players checked the turn. The river was the and Mondrus check-folded to 2,300,000 from Lon. Then, the two players checked a flop and Lon check-called 900,000 on the turn. Lon then bet out 1,800,000 on the turn and Mondrus called. Lon showed for a pair of nines, but Mondrus won the pot with for a pair of queens. Two hands later Mondrus check-called 700,000 on the flop. Both players checked the turn and Mondrus bet 1,000,000. Lon quickly folded. 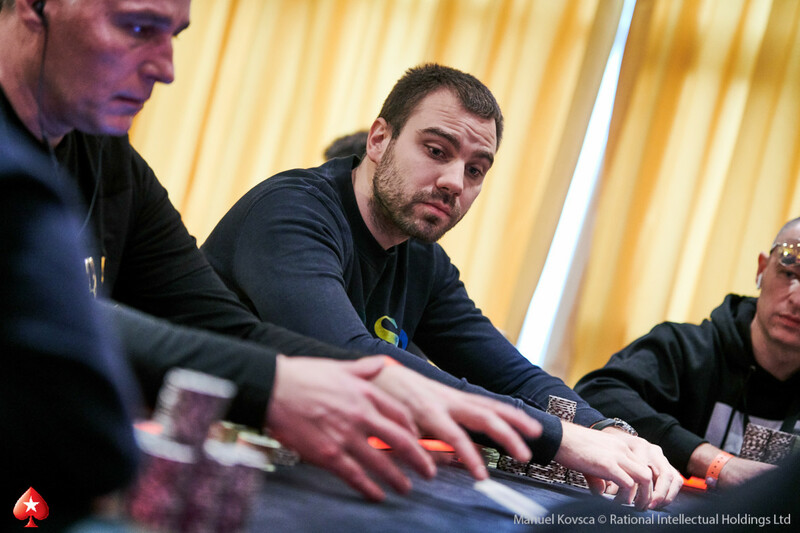 Who Will Win the EPT Prague €1,100 National?